There was a great battle fought in Ireland on Good Friday. Really? Good Friday just gone? I don’t think that’s very likely in this day and age. 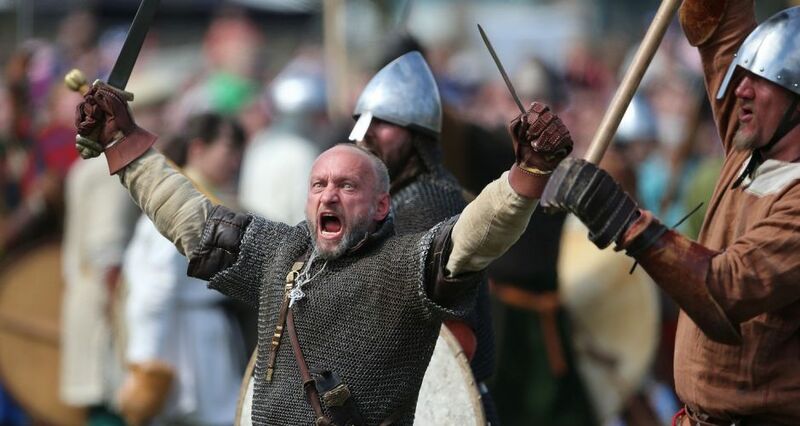 It is in Ireland: the Battle of Clontarf was re-enacted this Easter – 2014 – exactly 1,000 years after it took place. So what’s the connection with West Cork? 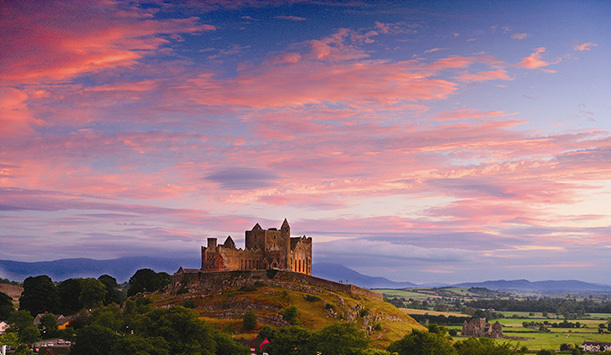 Well, the victor of the battle was Brian Boru, and he was at one time the King of Munster – crowned on the magnificent Rock of Cashel. That is, before he became the High King of all Ireland – seated at Tara, County Meath, and before he decided to take up arms against the Vikings. So, this was a battle between the Irish and the Vikings? Actually, no. 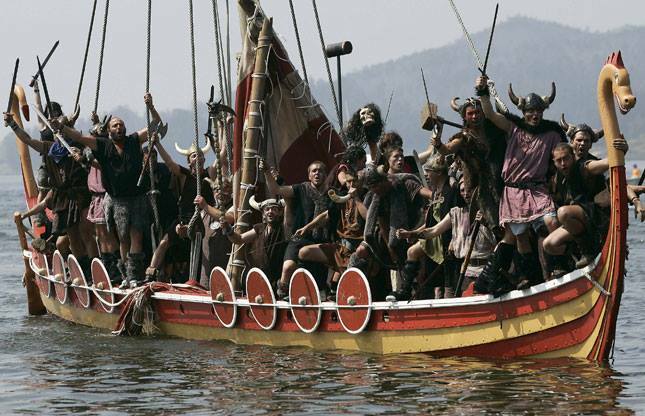 This was the Irish and the Vikings fighting – er – the Irish and the Vikings. Irish history has always been complicated. The first Viking raids on Ireland took place in the eighth century. Initially they were aimed at the rich ecclesiastical centres but eventually the raiding parties became colonising parties, and by the tenth century there were many settlements of Norse people in Ireland who mingled, married and traded with the locals. As always there were factions within factions and the Irish clans – who frequently picked fights with each other – formed allegiances with some of the colonisers while falling out with others. 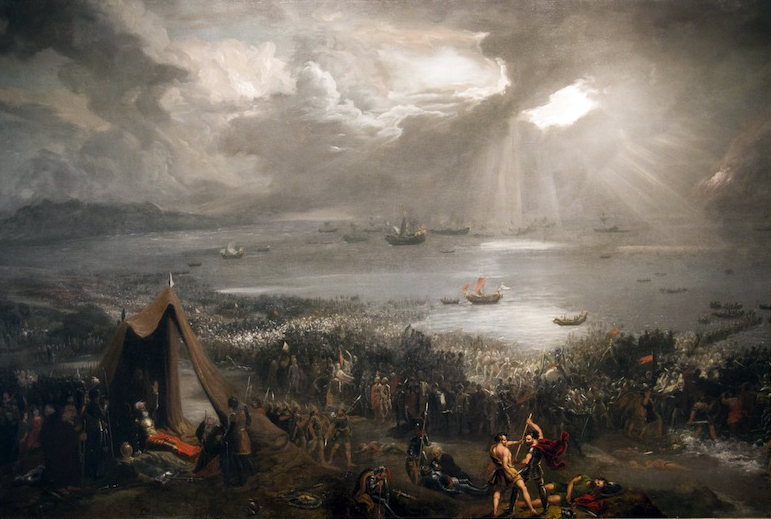 So, who won the Battle of Clontarf? Well, in 2014 everybody did: there were no casualties. But in 1014 Brian Boru’s forces (which included some Viking allies) lost 4,000 of his 7,000 followers while on the other side the opposing mainly Viking forces (but including a contingent of Leinster men who had fallen out with Brian Boru) lost 6,000, leaving them only 500 standing on the field. You could say that it was a rout – and legend has it that Brian Boru drove the Vikings out of Ireland. So we’ll put that down as a win for Brian then? In a way, but sadly he didn’t live to see it. At 74 he was too old to fight and he spent the day praying in his tent. Brodir of Mann, one of the fleeing Vikings, found him there and murdered him. Yes, not exactly the end you’d like to see for such a hero. But I suppose it made him a martyr for the Irish cause and has certainly assured him a top place in history and legend. You haven’t mentioned any legends. 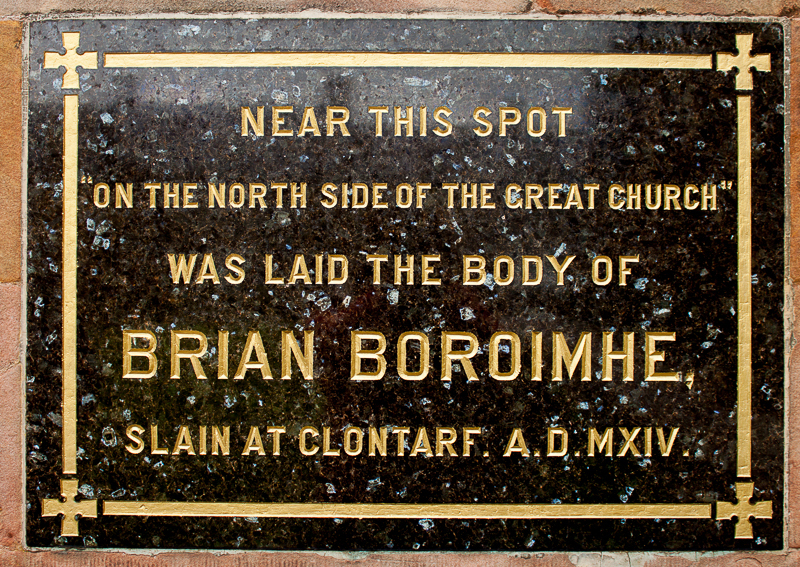 To be honest the whole Brian Boru story was once considered to be a complete legend. No archaeological remains have ever been found of the battle; its site is disputed; and no-one knows exactly where Brian Boru has been buried – although there are various stories about all this which are still told in good faith after 1,000 years. Didn’t he play the harp? Well ‘the Harp that once through Tara’s Hall the soul of music shed’ was supposedly played by King Brian. It’s kept in Trinity College Dublin – where you can also see the Book of Kells. Unfortunately it’s been dated to the 15th century and therefore could never have belonged to Brian. 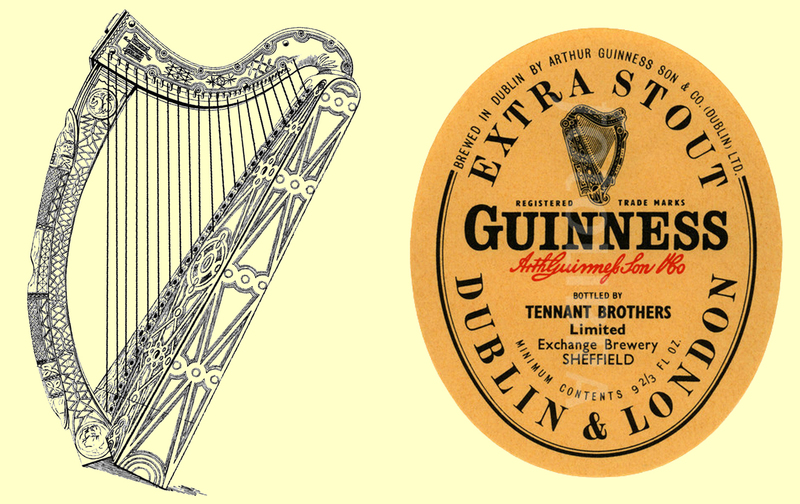 The harp has been used as a national symbol by the Free State but is perhaps most familiar in its incarnation on Guiness bottle labels. It has a chequered history itself: it was restored (very badly) and played for a time on special occasions but is now considered too fragile to allow the wire strings to be fully tensioned. In March 1969 it was stolen! Oh no! Did it come back? Yes: after some very cloak-and-dagger antics involving large sums of ransom money being left in a dustbin in a Dublin back street it was eventually found wrapped in a sack in a sandpit. Did they catch the dastardly thief? A sensible approach to matters of law! Indeed. And we can be happy that the whole Brian Boru / Battle of Clontarf story has given rise to huge media coverage, hopefully boosting tourism in Ireland. This entry was posted in Irish History, Roaringwater Bay and tagged 1000th Anniversary of Battle of Clontarf, Battle of Clontarf, Brian Boru, Brian Boru Harp, Brian Boru Harp Stolen, Brian Boru Legends, Commemorative Coin, Commemorative Stamps, Good Friday 1014, Guiness Label, Isle of Man, Re-enactment of Battle of Clontarf, The Viking Terror, Vikings. Bookmark the permalink. And I believe there’s a book just coming out that dispels everything – brave author (female and Irish). It makes for a great story though doesn’t it and there must be some grains of truth in it. I loved this–great post Robert! All the best to you and Finola!